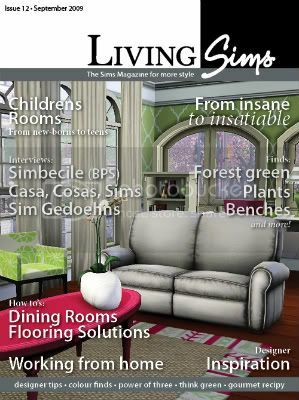 Welcome to the readers' forum of the LivingSims magazine. Here on the forum you can find additional info on finds; ask where we got things from the articles; post your ideas for future issues; join magazine contests and a lot more. We hope everyone will enjoy themselves and have a good time. Please take a moment to introduce yourself and read the forum rules. We have asked the people we have interviewed if they perhaps wanted to make a gift to our readers. Some of them have. Find the gifts in the staff gift section! There are gifts from Mira, Marilu and from Jaumet from Casa Cosa Sims. We hope you will enjoy them! We are looking for a writer for the magazine, so if you think you got the time and talent, please apply for the job. You do not have to be a perfect speller, we got proofreaders who help your text become the best it can be. If you like to write and know a little bit about interior design, then we would welcome you onto the team.